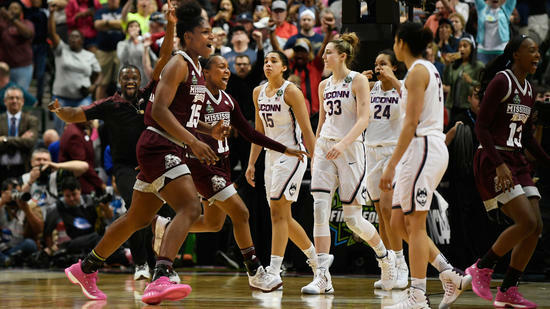 Mississippi State’s Morgan William drains the game-winner to beat UConn and advance to the Woman’s National Championship game. The team that spent the season finding a way to surprise the world was out of answers. 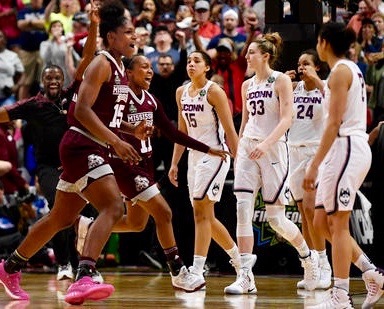 Morgan William’s running jumper as overtime ended made history — Mississippi State handed UConn its first loss since Nov. 17, 2014, ending the 111-game winning streak. The four-time defending national champion Huskies weren’t supposed to be No. 1 in the country for much of the season. After graduating three elite players, UConn returned a young roster. Players would serve new roles while the team attempted to survive with little depth and a short bench. “I know how to appreciate when other people win,” Auriemma said. “We believe in our locker room that it would be done,” Mississippi State coach Vic Schaefer said.